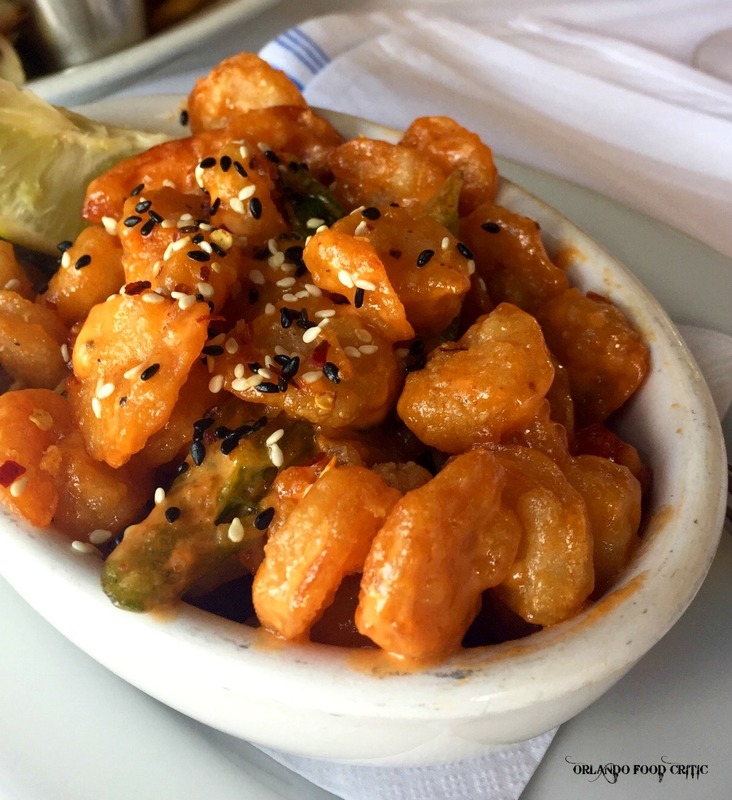 The Boathouse – Firecracker Shrimp. 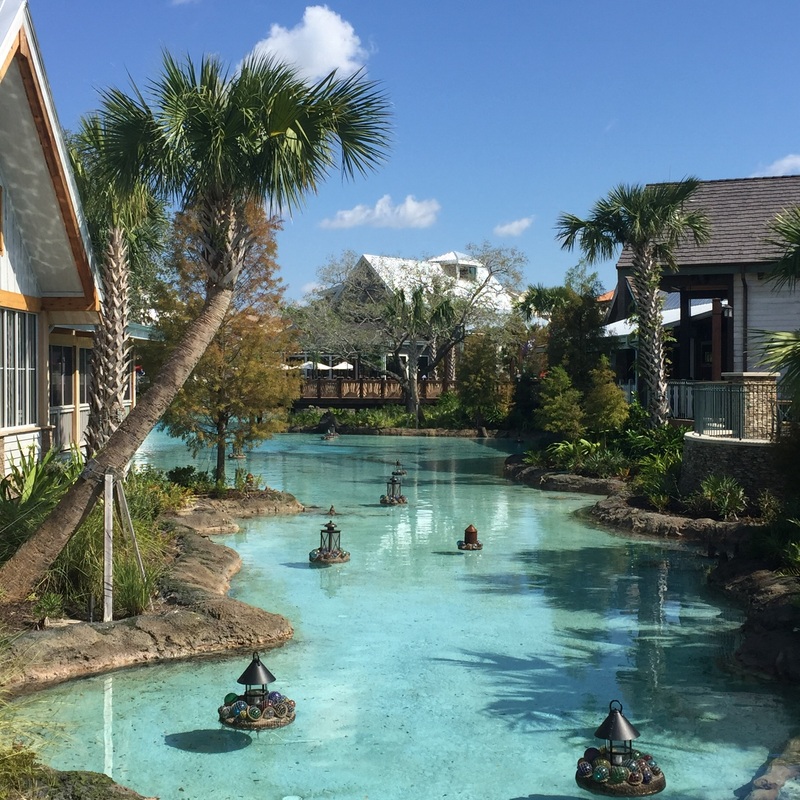 We got the “Munchies” while strolling around Disney Springs at the weekend and with so many options available (and more to come) we sought shelter from the heat in the welcoming air-conditioned sanctuary that is one of our favorites, The Boathouse. This restaurant was one of the first additions to the new Disney Springs complex and part of the re-imagining of what once was Downtown Disney that now seems so long ago. The Boathouse is an upscale, family-friendly, restaurant right on the waterfront, with stunning views of Lake Buena Vista, romantic Italian water taxis cruising by and classic Amphicars exploring the lake (rentals available right next door to the restaurant). FIRECRACKER SHRIMP – Sriracha Mayo, Serrano Chilis and Sweet Peppers – I know this seems like an odd choice on a very hot day but this excellent dish from the “Launch” section on the menu pairs well with lots of other lunch time options and on this occasion the “Yacht Club”- Club sandwich! The Shrimp were slightly crispy on the outside, full of flavor and succulent and juicy on the inside, the spice heat just right, making for a superb taste sensation and great for sharing. The club sandwich combined roasted Turkey breast with cucumber, bacon, lettuce, tomato, avocado and Swiss cheese, the addition of a Chipotle Honey mayo made this a really good club sandwich, served on multigrain bread. Service by the cast members is Disney personified and hits the correct note on all levels, courteous, knowledgeable and attentive. They deliver the Disney message flawlessly and what’s more important, believably. In the evening, listen to live music and maybe catch a sunset. You will find The Boathouse at Disney Springs, Orlando, Florida.